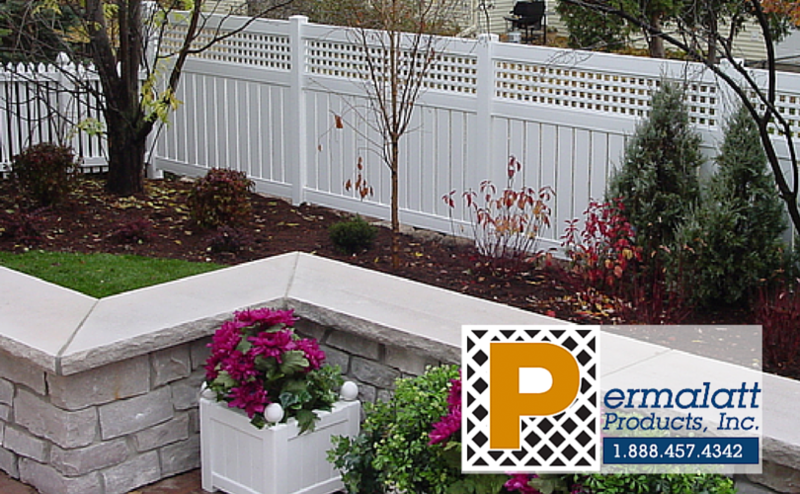 Not all lattice and vinyl fencing is created equal! It's bad news when a customers calls and wants you to come back because their fence is turning yellow and warping. No contractor wants that! Wouldn't you rather offer your customers an affordable, durable solution to create that final high-class, eye-catching finish for fences, deck skirting, gazebos, railings and cover boxes? You can with Permalatt products! Our heavy-duty vinyl lattice will last for years and won't discolor, crack, or warp. It's a perfect accent and finishing piece to their fencing project. Your clients will enjoy the bug, mold and mildew resistant quality and long lasting beauty of DuraShell Vinyl Lattice. This high-quality vinyl lattice comes in 6 colors and styles. There is one to match all decors and styles. Your clients new railing or privacy screen lattice won't fade, peel, or decay. It's stable and will look great for years to come. Once the lattice is up, it never needs paint and is maintenance free! Your clients will love your work with Permalatt Vinyl Lattice. Complete this form and gain access to our free brochure comparison download now! We'll also add you to our email list so you'll get our latest resources and updates.